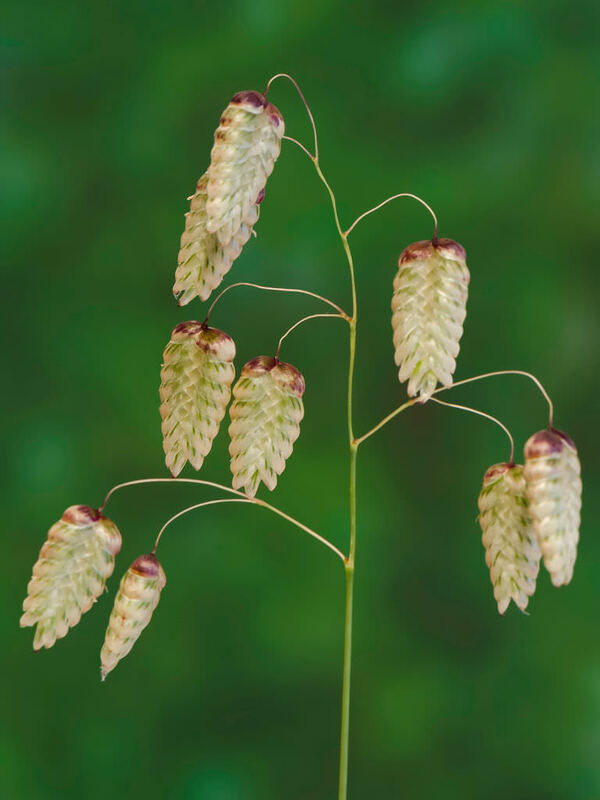 Briza maxima is a beautiful, erect, annual grass up to 2 feet (60 cm) tall, with thin stems, hung with pale green flowers that look like rain drops as they catch the light. 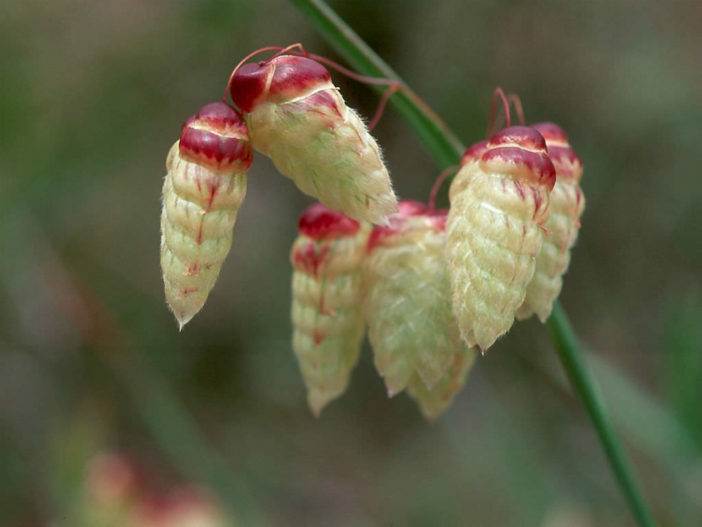 Its stems are usually not branched and are hairless. 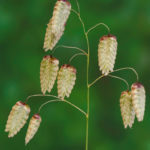 Leaves are tufted together at the base of the plant and alternately arranged along the stems. USDA hardiness zone 5b to 10b: from −15 °F (−26.1 °C) to 40 °F (+4.4 °C). 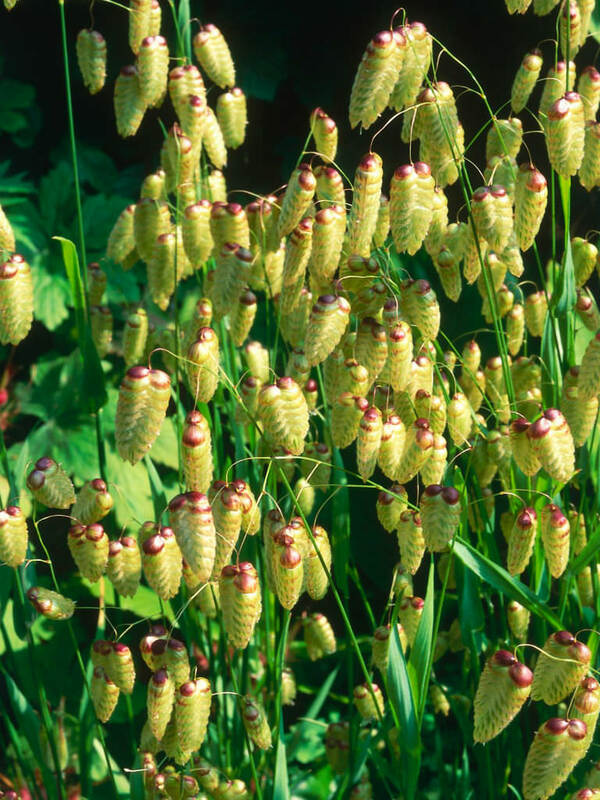 Quaking Grass has no special germination requirements and so can be sown at any time of the year to raise plants. 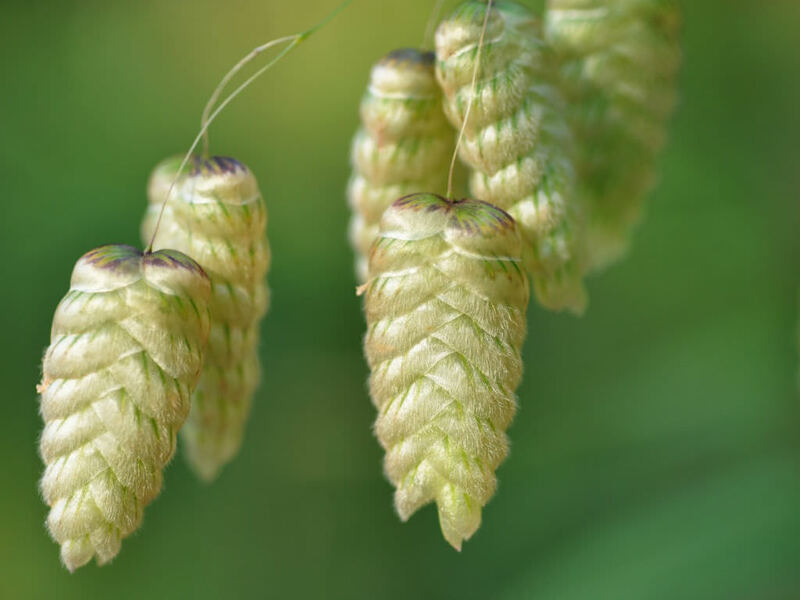 As with most grass seed this means that seed can also be sown successfully in open ground in both autumn and spring. 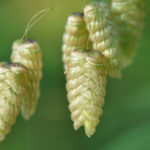 It is a slow growing grass and so will take time to establish from seed. 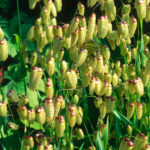 It is best sown in small quantities to add interest as a minor component of a mixture, with the main ground cover provided by other companion grass species. Native to northern Africa, the Azores, western Asia, and southern Europe.